Famed for its beautiful historic architecture and forever known as the ‘City Of Dreaming Spires’ – having been named so by one of its many eminent alumni, the poet Matthew Arnold – Oxford has a great selection of restaurants and pubs with private dining rooms available to hire for events including private lunches and dinners, standing drinks receptions, Christmas parties and weddings. Located 57 miles west of London, Oxford is the county town of Oxfordshire and home to England’s oldest university which – along with Cambridge – is one of the most prestigious universities in the world. 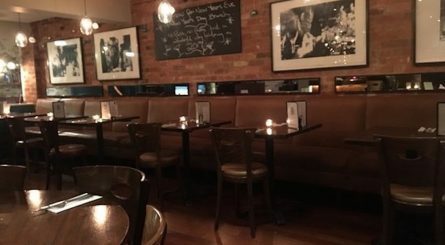 The private dining room at Oxford’s Malmaison can seat up to 10 seated diners and the venue has four further private areas able to accomodate up to 35 dining guests. 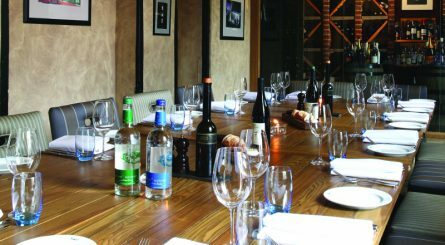 The private dining room at Portabello Restaurant in Summertown, Oxford is located above the main dining room and seats up to 36 guests.